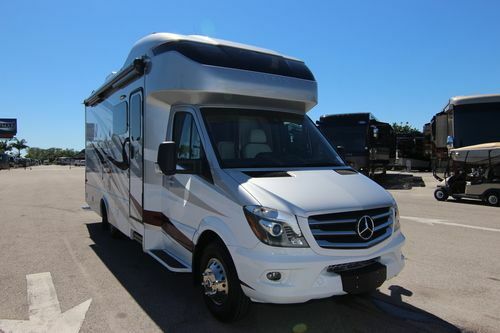 Tiffin Wayfarer Class C motorhomes for sale in Florida. The all-new 2017 Wayfarer Class C coach from Tiffin Motorhomes. This compact, fun-to-drive vehicle merges the sophistication of Mercedes-Benz technology with Tiffin’s legendary luxury and comfort. 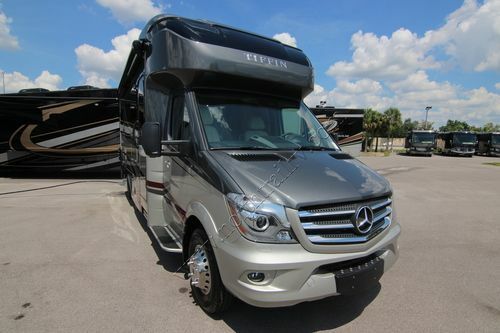 It's also loaded with standard features considered luxury upgrades by other RV manufacturers. Perfect for newcomers, downsizers, or anyone ready for a new adventure. The Wayfarer rides on a 170-inch wheelbase chassis, powered by the 3.0-liter 6-cylinder turbo-diesel engine with 5-speed automatic tip shift transmission. Driver Assistance Package comes standard, providing lane-keeping assist, collision prevention assist, and high beam assist. Also standard are multi-function steering and heated adjustable mirrors. Smart Assist Features Driver Assistance Package comes standard, providing lane-keeping assist, collision prevention assist, and high beam assist. Also standard are multi-function steering and heated adjustable mirrors. At 25.3’ long, the chassis is slightly longer than a large SUV. The cab is lower to the ground, so the vehicle handles with a more automotive feel. Many drivers will find it less intimidating than driving a Class A rig. Our full-body paint system features premium grade paints sealed with superclear coat with ultraviolet protection. The 2018 Tiffin Wayfarer comes in the following floor plan 24QW. 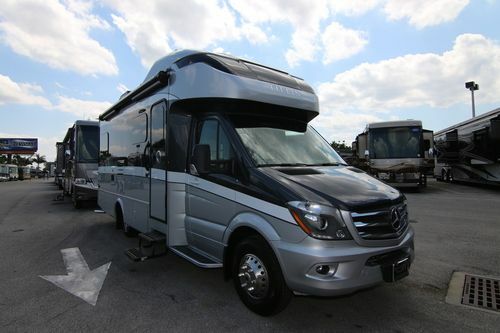 Please view our Tiffin Wayfarer Class C Diesel motorhome inventory below.